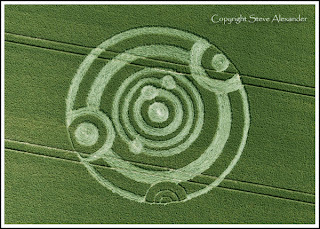 This Crop Circle formation was reported at Cow Drove Hill, near Kings Somborne, Hampshire on the 18th of June, 2011. 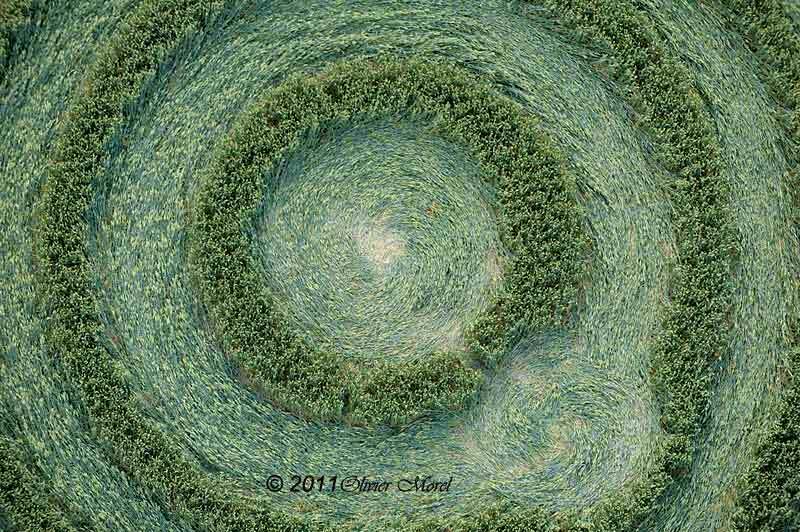 At first glance the formation seems to represent some kind of an alignment within our solar system. 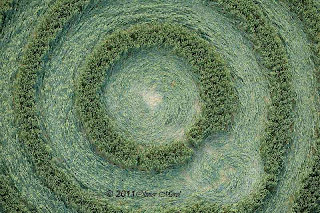 As per Red Collie(Dr. Horace R. Drew), a crop circle researcher the formation suggests that some unknown object perhaps a Comet will outburst soon near planet Mars' orbit. 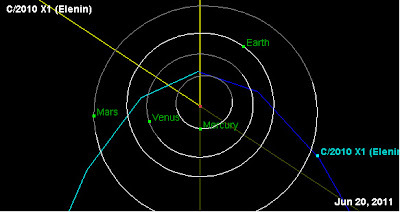 "Cowdrove Hill of June 18, 2011 shows our inner solar system of Mercury, Venus, Earth and Mars for a date close to June 20, 2011, along with three images of another unknown object, perhaps a comet, which is scheduled to outburst or explode soon close to Mars orbit. 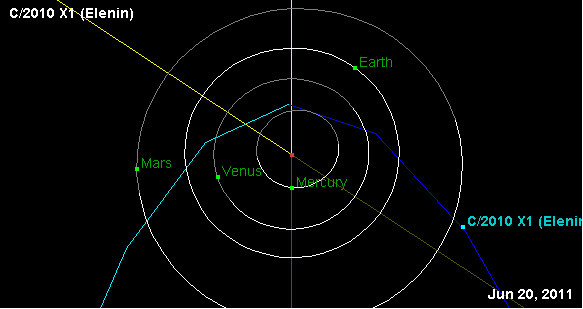 Two accompanying slides show the locations and orbits of Mercury, Venus, Earth and Mars for a date of June 20, along with the positions of two known comets which are located currently near Mars orbit: namely comet C/2011 C1 McNaught or comet C/2010 X1 Elenin. 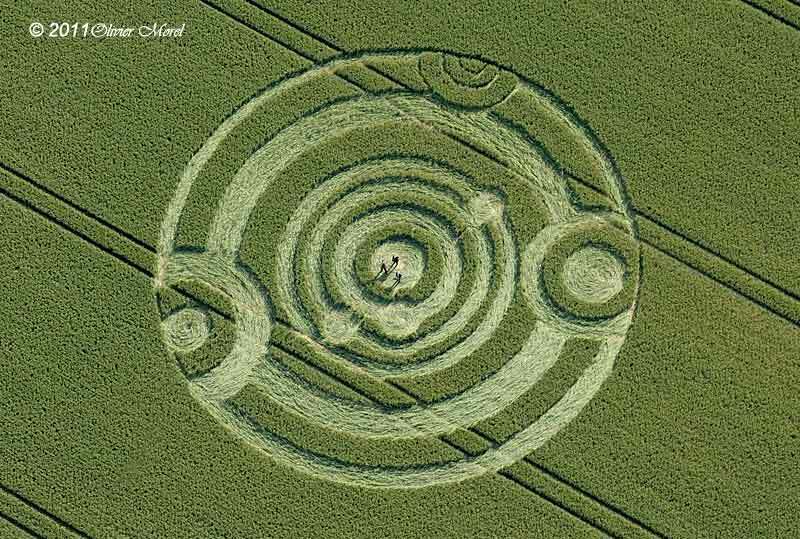 A big "C-shaped" symbol on the left of Cowdrove Hill seems to tell where the unknown object will be located in space. Two other symbols along its outer ring seem to imply an outburst (semi-circle with thin dividing lines) followed by brightness (open circle on the right). 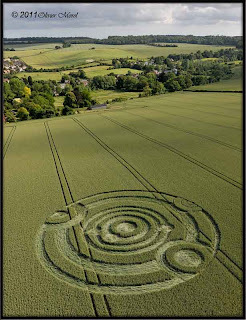 These new symbols seem similar to other "outburst" symbols drawn at Sanctuary or Hackpen Hill on May 30, 2011. Thus it remains unclear from their most recent drawing at Cowdrove Hill (if real) what exactly might happen soon in space, close to planet Mars and Mars orbit? Yet it should not be long until we find out! 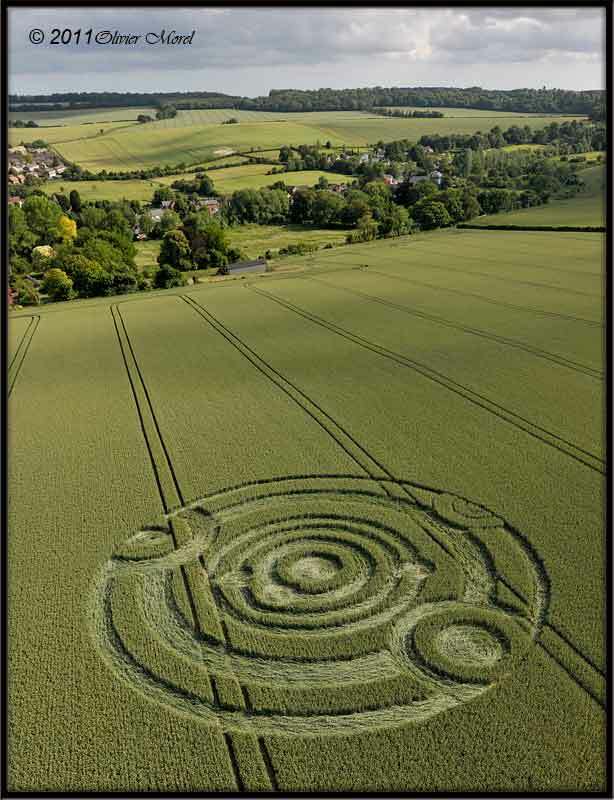 A second crop picture from June 18 shows a spiral symbol and three small crescent Moons, suggesting perhaps three days later on June 21? 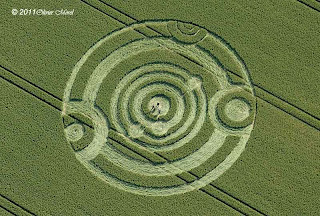 This may be the same astronomical event predicted at Milk Hill in 2009, where some "mystery object" was supposed to suddenly brighten not far from the orbit and location of Mars in June of 2011, after a five-planet alignment in early June. 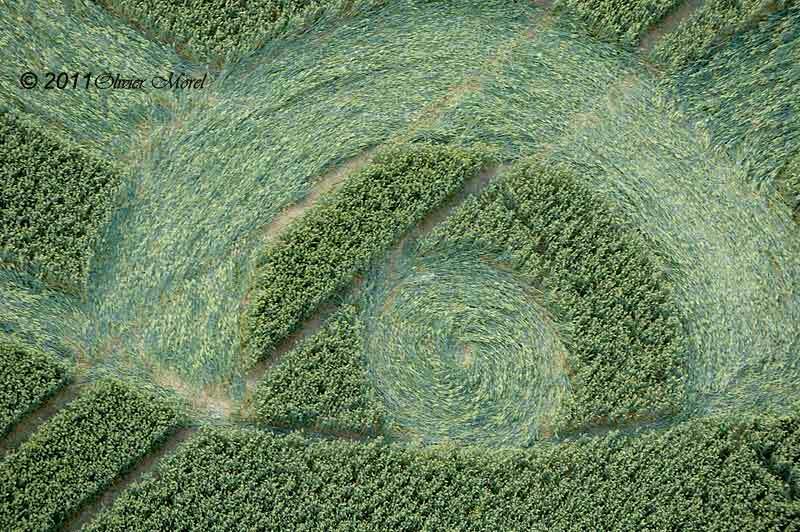 Now we can only wait and see. nice statement from ower friends.... they do a very good job! i like this interstellar 1 timers very mutch!